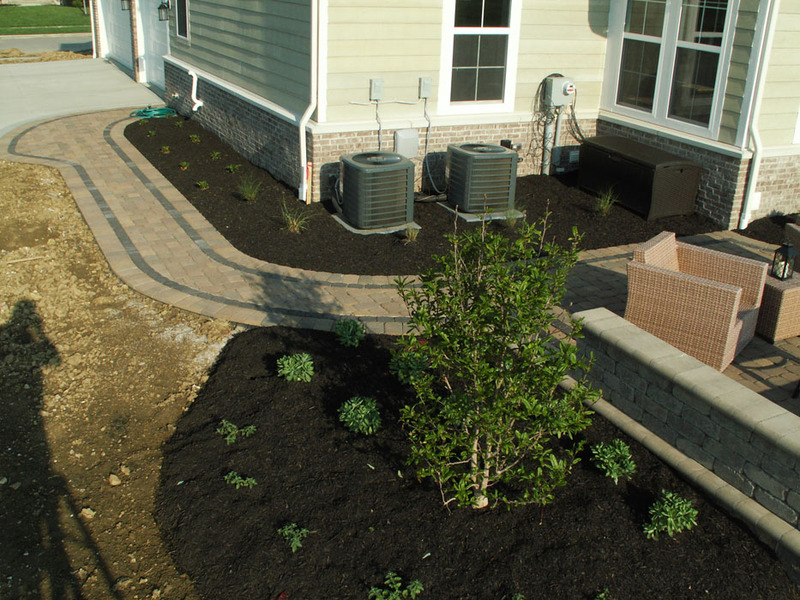 Paver Walkways offer customers a solid surface access to the front door or from the driveway to the back patio area. 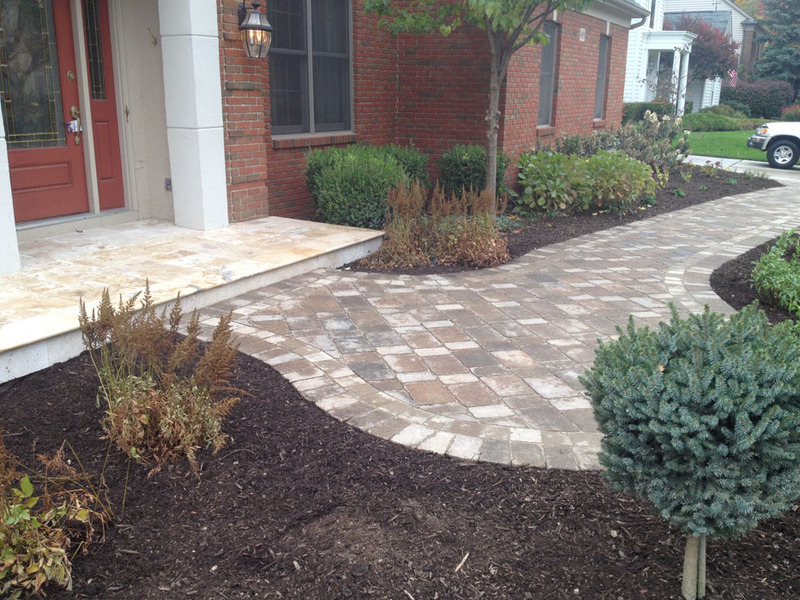 There is no better way to spruce up the first impression of your home than to design and install a new front entry. Client feedback states that the kids can utilize the walkway to ride bikes & scooters & can be connected from the front to the back of the house. 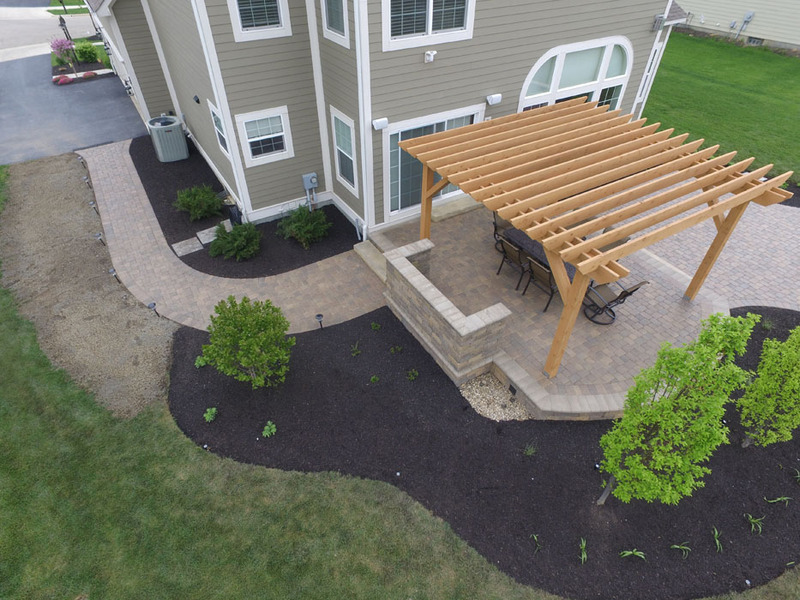 We often connect a back garage door to the patio area via matching paver or stone walkway. 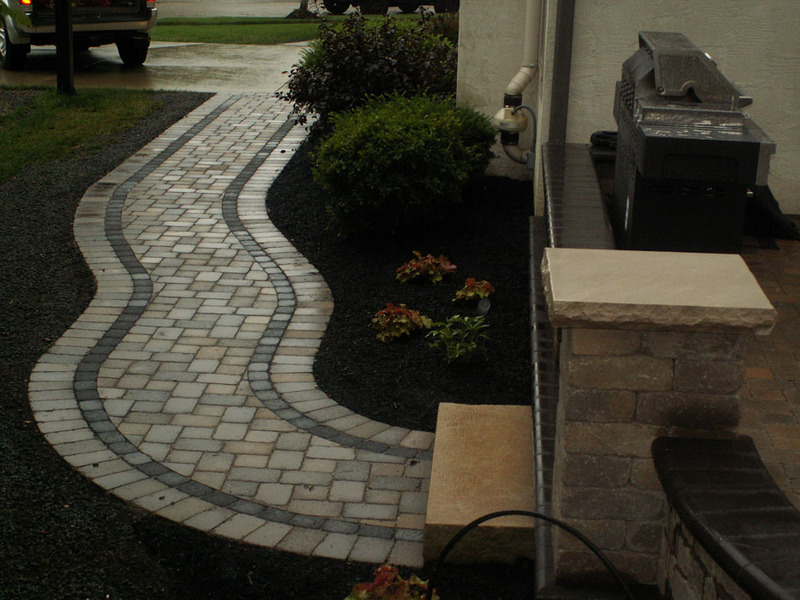 Paver Walkway from Driveway to back patio. 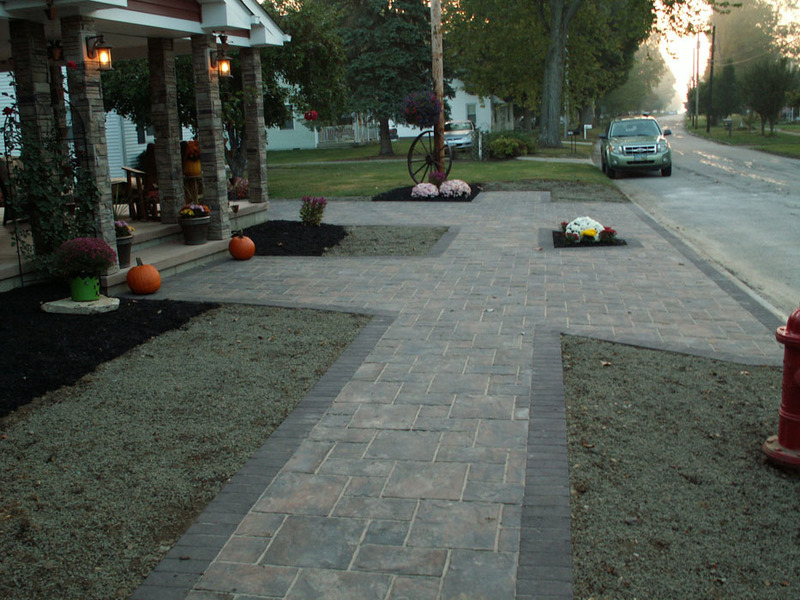 Pick Up and re-install paver walkway. Unilock Artline in Walnut color.